Should I Buy Used Printing Equipment? 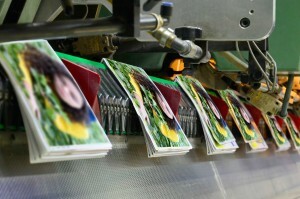 There are several advantages to buying used printing equipment. Sometimes when printing equipment gets old or breaks, it’s more economical to replace the it with used printing equipment. But how do you know when this is the best route? The first step is to find a dealer who is knowledgeable and has experience in the industry. This will ensure that any printing equipment you look at–old or new–will be high-quality and the salespeople will have the expertise to advise you and answer all your questions about the equipment. Atlantic Graphic Systems has been active in the printing industry for forty years, so you know that we have the reputation and expertise to help you find the equipment you need. After you’ve connected with your printing press equipment dealer, here are a few things to consider. Of course, the biggest advantage of buying used is the cost savings. Decreasing margins on printing combined with increasing costs and competition makes buying used printing equipment the wise economical choice. When you buy the newest equipment on the market, you often act as a guinea pig for the manufacturer, essentially testing the machine and lodging complaints for the manufacturer to fix. With a used machine, you can trust that it already works efficiently. Like any new product, the moment it is first bought and used the value decreases significantly. This is why buying even lightly used press equipment saves you a large amount of money. Just as there are obvious advantages to buying used printing equipment, there are also glaring disadvantages. If the equipment is not properly inspected you run the risk of spending money on a product that does not perform and may have deferred maintenance issues. This is one of the reasons that it is so important to find a trusted dealer with a good reputation. Also, depending on how old the equipment is it may not have all the newest features that will give you an edge over the competition. Ultimately, the choice is up to you. Assess what the exact needs are for your printing company and decide whether it’s worth it to you to spend the money on new features or save the money by buying reliable used equipment. This entry was posted on Thursday, February 11th, 2016	at 1:59 pm	and is filed under Used printing equipment	. You can follow any responses to this entry through the RSS 2.0	feed. Both comments and pings are currently closed.